Speed up your invoicing process with flexible and scalable solutions for a higher business ROI. A user friendly invoicing software can answer the needs of problems faced by telecom business. Lack of financial forecasting/analysis and faster payment cycle. Inconsistencies in billing and high customer attrition. Workload complexity in large customer base that leads to errors. Customers invoice exceptions and disputes. Integration with existing CRM and ERP tools for better process efficiency. Customization as per specific business & tax requirements. Improve invoicing ROI with our integrated billing solutions. 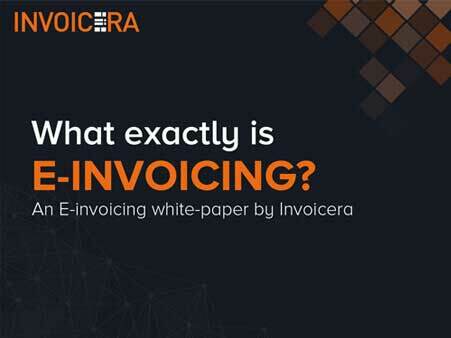 Scale up your business and improve invoicing and payments efficiency with Invoicera. Create better consumer experiences with integrated and customized telecom billing solutions. Innovative subscription based billing solutions. Achieve your overall financial goals with simplified reports generation. Manage reports of outstanding and payments for a healthy cash flow. Get customized business invoicing solutions. A smooth telecom invoicing workflow for reduced invoice exceptions and disputes. Bespoke invoicing solutions for your specific business requirements. Integrate with existing ERP and CRM solutions. API integration to integrate with 3rd party tools and eCommerce integrations. A variety of global payment gateways to choose from. Faster payments and smooth process. Payments can be received with ease, from clients across the globe. Customers need to just log in to their payment gateway account with their respective credentials. Hassle free and smooth payment process. Q1. What is the licensing model for Invoicera telecom billing solution? A.Your telecom billing solution is licensed on a subscription model. Q3. How do I access analytical customer data for financial analysis?